Catch the Volvo bus from Delhi to Manali in the evening at 5.30 P.M .Overnight in the Bus. Checkout Hotel & Transfer by Deluxe Bus from Manali to Shimla by 8.00 A.M .Arrive Shimla by Evening and check in hotel. Evening free for leisure. Dinner and overnight at Manali. After Break-fast visit Kufri , Green Valley , Mini Zoo , Chini Bungalow., White Flower Hall , Halipad , Bhimakali Temple , Indira Gandhi Tourist Park , Evening free to stroll in the famous shopping place of Shimla town – The Mall & The Ridge. Dinner and Overnight stay at hotel. After Break-fast Checkout Hotel & Catch the Volvo Bus at 11:00 A.M from shimla & by Night around 8 Pm back to delhi to catch the onward destination. In Delhi catch the bus in evening 6.30 pm. Overnight journey in the bus. 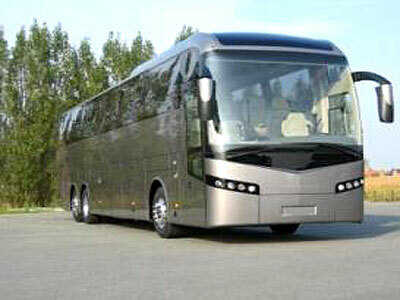 Start from Delhi in the night & proceed to Shimla by Volvo A/C Bus .Overnight journey in Volvo. After Breakfast proceed for Full day sight seeing to Green Valley , White Flower hall, Halipad , Bhimakali temple, Kufri, Indira Tourist Park & Mini zoo in Shimla by Individual Taxi. In the evening back to Hotel . Free to visit to Mall Road for sovenier Shopping. Overnight stay & Dinner at Hotel. After breakfast Checkout Hotel & Transfer to Bus-stand to catch the Volvo Bus. Depart from Delhi to Shimla by Volvo A/C Bus . By Evening back to Delhi. Catch the Volvo bus from Delhi to Manali in the evening at 5:30 P.M .Overnight in the Bus. Arrive Manali in the morning, Check in to the hotel and day free for leisure to explore your own activities. Dinner & Overnight stay at hotel. Manali After Breakfast Visit Kothi Gorge, Gulaba, Marhi, Rohtang Pass (tourist spot in Himalaya having snow all 12 months) is the most visited tourist spot..Back to Hotel . Dinner & Overnight stay at hotel. After Break-fast Full day excursion to kullu & Manikaran, back to hotel in the evening, Dinner and Overnight at hotel. Half Day sightseeing of Local Manali including Hadimba Temple, Vashist Temple, Club House, Monasteries,Evening catch the volvo from Manali to proceed Delhi. Overnight Journey. Arrival at Delhi Bus stand. proceed for your onward destination….